One of the greatest challenges facing Texas is balancing the water needs of people with the needs of our environment. We are all connected by water, and how much usable water we have for the future will depend on what we do to conserve water today. What is the purpose of the Clean Water Act? What kind of water pollution is it intended to prevent? Why does the Act not stop all water pollution? What is watershed action planning? What should people where you live consider when conducting watershed action planning? In Texas, who “owns” surface water? Who “owns” groundwater? Since all water is connected, why do we have different systems of regulation? What is a “water right?” What are the impacts of prior allocation? What is “rule of capture?” What rights and responsibilities are associated with it? What are environmental flows? How are they obtained? What will influence Texas’ water supply for the future? In your opinion, should the future of Texas’ water quantity and quality be driven by laws or by voluntary action? Defend your answer. As you have seen throughout this guide, we are all connected by water. All living things need water. The earth has a remarkable system of transporting and recycling water for our use. Because we live on a planet, with a finite supply of water, we must take care of our natural resources, especially the water we use where we live. It doesn’t matter if we are a community of humans or a community of aquatic plants and animals, we all live downstream of someone or some organism that needs and uses the water. We should treat the water that we use the same way we hope the water we use was treated by others. 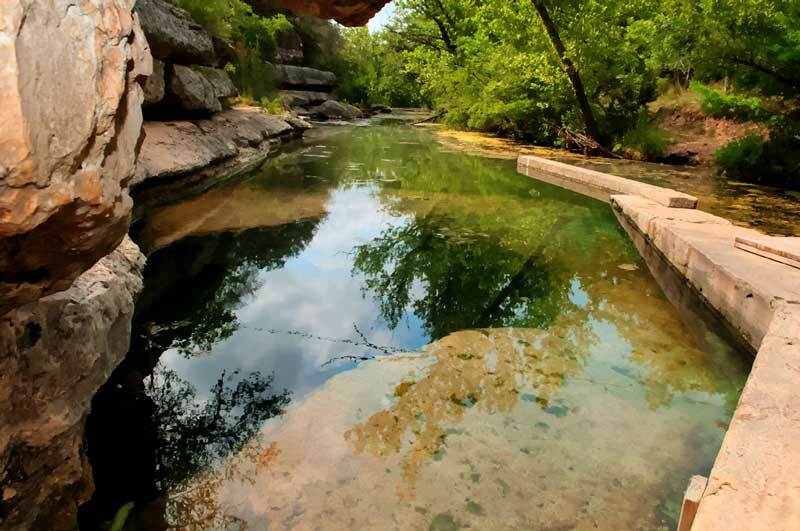 To a large extent in Texas, water quality and quantity within a watershed is linked to the actions of the people who live, work, and play within its boundaries. There are some laws that exist to make sure we, and aquatic life, have adequate clean water. There are some ways that water gets polluted or used up that are not the subject of strong laws. In these cases, education, use of science, best practices, a conservation ethic, and personal voluntary choices and actions are needed to ensure water sustainability for Texas. Clean water — it’s the law! In 1972 the U.S. Congress passed the Federal Water Pollution Control Act, best known as the Clean Water Act. 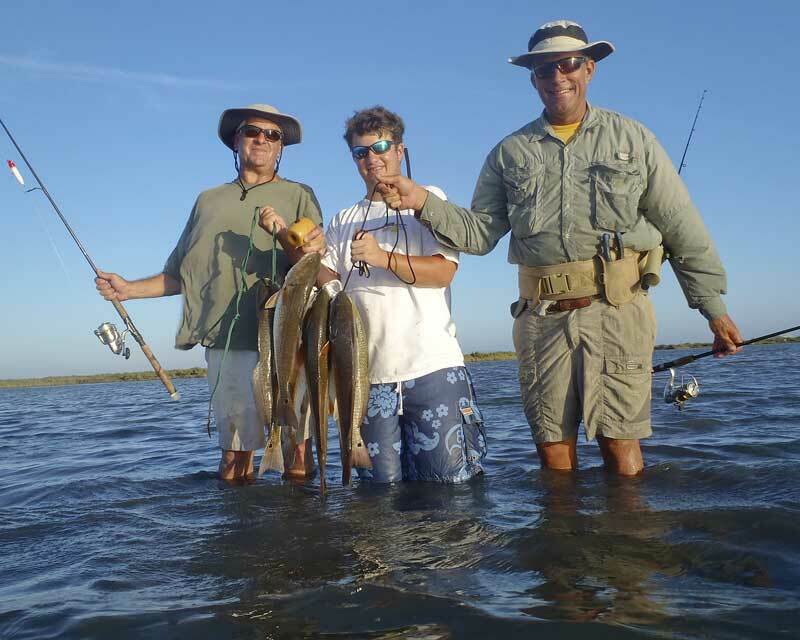 The goal of the Act is to make surface waters fishable and swimmable. The Act made it unlawful to release any pollutant from a point source into most major waters of the US without obtaining a permit to do so. It also made filling of wetlands unlawful without a permit. The Act does not include waters that do not connect to a navigable waterway, although not everyone agrees which waters are exempt. The Texas Commission on Environmental Quality monitors pollution and issues permits for discharge of pollutants in Texas. Non-point source pollution comes from many places. It’s difficult to trace to its source and therefore is not controlled by the Clean Water Act. A common cause of non-point source pollution is runoff, such as when rain or flood waters carry pollution as it runs off the land. This kind of pollution is blamed for high amounts of nitrate in groundwater and sediment in surface water, which are the greatest contaminants in many Texas waters today. Agricultural activity accounts for most of this non-point-source pollution. The irrigation and plowing of crops, and application of fertilizers and chemicals generate pollutants such as nutrients, pesticides, insecticides, herbicides, and sediment. Non-point pollution comes from urban areas, as well. This includes fertilizers, herbicides, and insecticides from lawns, sediment from construction sites, and oil, grease, and toxic chemicals from roads and parking lots. We all contribute to this kind of pollution, when we drive our car or when we fertilize our lawn. Because non-point source pollution can be more difficult and costly to describe and control than point source pollution, there is no single law or permitting system for non-point source pollution as there is for point sources. Another way Texans take care of water is through watershed action (protection) planning. Landowners, scientists, local government officials, and staff from responsible agencies consider sound science to design, implement, and monitor water quality management strategies to protect and restore water quality. Texas water law regulates surface water differently than groundwater. Surface water belongs to the state, but groundwater belongs to the landowner. History plays a big role in the development of Texas water law. The legal rights to own and use water in Texas came from the cultures and legal systems of Mexico and England. Early Spanish settlers in Texas used extensive systems of ditches to move water from place to place, and to irrigate their crops. These early water systems were managed by the communities for the people served. This centralized control of water was generally based on Spanish law and is the origin of Texas’ system of prior appropriation. Prior appropriation gives the right to a certain amount of water to certain users. It divides available water among people who want it based on a government-issued permit that includes the principle of first come, first served. Senior water rights holders have first rights to a prescribed amount of whatever amount of water is available. This is also often referred to as the “first-in-time, first-in-right” rule. Anglo-American settlers who moved into Texas in the early 1800s, brought with them a different system granting rights to water called Riparian Law. This gives people who own land bordering streams the right to use water from the stream. It is based on English law and reflects conditions in England where, unlike in Texas, water is plentiful and there are many streams everywhere. Over time, these systems were merged, with Texas becoming what’s called a dual doctrine state, recognizing both riparian and prior-appropriation rights. Neither of the two systems of allocating water considers ecological needs of aquatic ecosystems or the direct connections between groundwater and surface water. Today, Texas courts divide water into unrelated legal classes with different rules governing who can own and use water in the different classes. Natural Surface Water. Natural surface water found in waterways, such as rivers and streams, is owned by the State of Texas and managed for the citizens of the state. This includes the ordinary flow in streams and tidal waters on the coast. Water from rains and floodwater found within natural rivers, streams, and lakes, and in manmade reservoirs on waterways is also state water. Water in springs that form headwaters is also considered surface water. Surface water is allocated to people as a “water right” permit. Water right permits give holders a set amount of water on an annual basis from a specific location on the water body. Once people have a water right permit, they can sell all or part of the water right to other people. Because it’s not possible to say exactly how much water will be in a stream, lake, or spring at any point in time, water is allocated among the permit holders according to who received rights to the water first. This system is called prior appropriation. A water right is like a ticket for a place in line for available water. In times of drought when water in streams and lakes may be very low, the person who holds the first water right permit may take their full amount first from the water that’s available. The next most senior permit holder may then take their full amount, and so on. Some people who have permits for water may not receive any water in drought years. In some Texas streams, more water has been allocated than flows in them in dry years. Diffused Surface Water. Water such as runoff from rain that does not flow in a defined watercourse, but flows generally across the surface of the land, is diffused surface water. Generally, this is rain runoff or flood water left in upland areas after the flood recedes. This surface water belongs to the landowner until it enters a natural watercourse. Landowners can use the water however they wish. When it enters a natural watercourse, it becomes state water. Groundwater. Texas treats groundwater, the water in our aquifers, differently than surface water. Whereas surface water is considered state property, the water beneath a landowner’s property is private property. Landowners have a legal right to pump and capture whatever groundwater is available, regardless of the effect of that pumping on neighbors’ wells or springs that may be fed by the groundwater. This is called rule of capture. Since groundwater exists underground, the surface landowner does not actually own the water until they take it from the ground, or capture it. Once captured, they have right to use the water, or sell it to others. The right to capture the water can even be sold to others. Once sold or leased, any water captured may be transported by the new owners wherever they want. There are some limits. Landowners are not to pump an unlimited amount of water when it is done maliciously to harm a neighbor, in a wasteful manner, or through negligence causing subsidence in a neighbor’s land. The amount of groundwater a landowner can take may also be restricted when the water is from an underground river or is regulated by a groundwater conservation district. There are about 100 groundwater conservation districts now in Texas, formed to create rules for conserving, protecting, recharging, and preventing waste of underground water. Some exert more control over use of groundwater than others. They can register and permit wells, keep drilling and well records, regulate how far apart wells are drilled, require a permit for water transfers, buy and sell water, and generally conserve and protect the aquifer. Riparian rights. Texas also has remnants of riparian law. For example, landowners whose property borders a stream can take up to 200 acre-feet of water in a year for domestic and livestock use anytime they want. This is not for big commercial farms or ranch operations, it’s just for a home, farm animals, and gardens. Up to 200 acre-feet per year can also be impounded behind a dam on your property. One acre-foot is enough water to flood an entire football field to a depth of 9 inches. 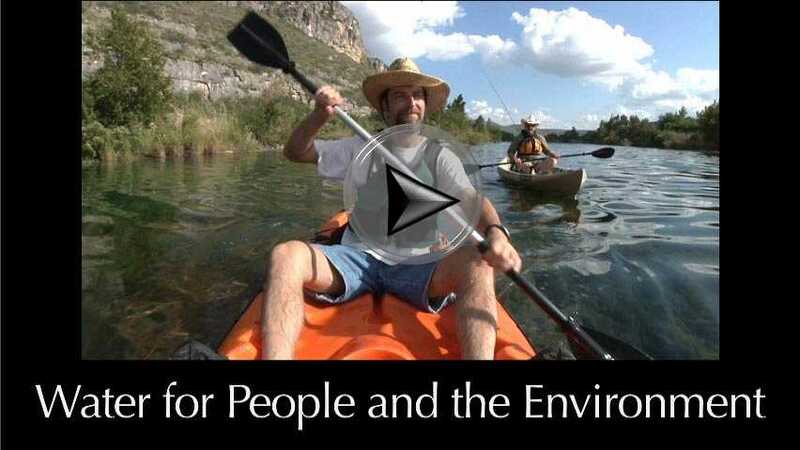 While in the past many people did not think about leaving much water in a stream or river for aquatic life, there are new laws in Texas that require environmental flow. Also called instream flow, this is an amount of freshwater, or flow, left in a river or other water body that is adequate to support an ecologically sound aquatic environment. Allocating this amount of water to many streams in Texas can be complicated. In a number of river basins, permits have been issued for all, or even more than all, of the water that is present during dry periods. If all water rights were fully used, those rivers and streams would go dry during a drought, leaving nothing for fish and wildlife. This would cause problems for freshwater species all the way downstream and into the estuary and bay, where freshwater is important to saltwater ecosystems. New laws require that some water be set aside for environmental flows in areas where water rights permits are still available. Where all the water has already been allocated to someone, environmental water will need to be acquired over time. For example, existing water rights owned by others could be donated or purchased and allocated to environmental flows. We could also improve ways to use water efficiently, leaving more water to return to our water bodies. Figuring out how much water to leave in a stream to maintain aquatic life from the headwaters all the way to the bay is very complicated. The amount of water in a stream naturally varies by season, by location along the river, and by year. Different species and habitats need varying amounts of flow at different times. But the most critical time to ensure adequate environmental flows for aquatic species is during periods of drought. To help find out how much water is needed and how to get it, scientists and stakeholders come together to find answers. The streams, rivers, reservoirs, estuaries, and bays in each of Texas basins are unique and have their own requirements for environmental flows. For study and planning, separate groups of scientists and stakeholders formed for 11 river basins. Scientists conduct studies to determine how much freshwater should be left in streams at any particular location, as well as how much should flow out into the estuaries and bays to meet the needs of fish, wildlife, aquatic ecosystems, and people. Stakeholders are informed of scientific studies and come up with ways to protect and acquire more water for the environment. Stakeholders are people who have an interest in water allocation and who live in the river basins. They make suggestions that include water conservation and efficient use incentives, use of treated wastewater, and the purchase or donation of existing water rights. How much water we will have for the future will depend on what we do to conserve water today. We can’t make it rain more, but we can more efficiently manage the water we get from the hydrologic cycle and water in our aquifers. We may have enough water for people to drink. But will we have enough to sprinkle on our lawns, wash our cars, irrigate our crops, or remain in our streams to support aquatic habitats and flow into our bays and estuaries? Our primary users of water are our farmers and ranchers who grow our food, our workers in businesses and industry who make and sell our products, and all of us who live in cities and towns and use water for drinking, washing, and watering our lawns, gardens, and parks. Improved irrigation methods and agricultural practices have already reduced the water needed by many of our farmers and ranchers. Conservation measures and fixing leaking municipal water lines has helped some cities such as San Antonio to reduce their water demand considerably. But with an increasing population needing jobs and places to live, the demand for more water for food, industry, and people will continue to grow. Texans have shown an ability to wisely manage water use, and there are many examples in our cities and on private lands of how to do so, but have we waited too long? Of 281 springs that were identified as historically significant, more than 63 have stopped flowing since the 1800s. We have lost over half of our wetlands. Over 25% of our native freshwater fish species are considered at risk, and we are in the top five states for number of endangered aquatic species. Texans will need to commit to more intensive water conservation and pollution prevention practices to reach a sustainable water goal that also protects aquatic ecosystems. 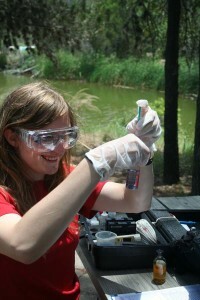 It will take an understanding of water, watersheds, and life in Texas’ many aquatic environments. It will obligate us to reserve water for species and habitats from our headwaters to ocean. It will require the combined efforts of our leaders in business and industry, our elected officials, our teachers, and you. 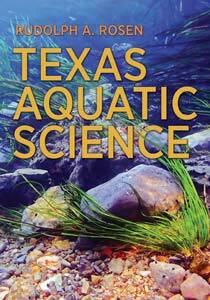 Texas Aquatic Science Water for People and the Environment was written and edited by author Rudolph Rosen. Project support came from the Ewing Halsell Foundation and the Sport Fish Restoration Program. Click on photos below for enlarged view.